I just got home from Bile study. The ladies who are missionaries in Jacmel meet together once a week for study and fellowship. Today we talked about friendship and how it is so different making and keeping friends while living in Haiti. Honestly, I don't have that many friends here. My best friend is Haitian and I can relate to her and have more in common with her than I have ever had with any American friend I have ever had. Sometimes God brings you a blessing from the most unlikely places and circumstances! But friendship is hard here. Every mission has different focuses and most missionaries have a busy workload that doesn't leave much time for making and keeping friendships. One point that was brought up today was the fact that missionaries seem to come and go at a pretty high rate that it's a struggle at times to make the time to start a friendship when the reality is there is a high probability that person won't be around for long. But there is something about community and friendship with those who understand. 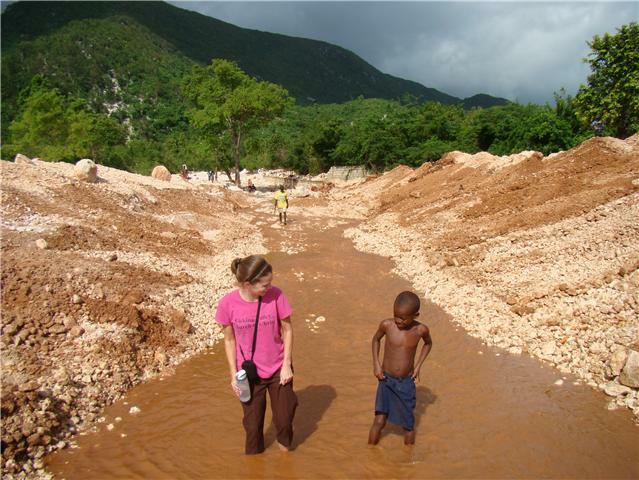 No offense, but most of you reading this blog have never lived in Haiti. So it's a treat to sit and talk with someone else who has "walked that mile in your shoes" and truly understands. We can laugh about the day to days encounters we have within a different culture. We can fully understand when someone is just feeling like they can't do it here anymore. And no one understands feeling left out back "home" like others who have spent holiday after holiday away from their families too. Ask anyone who has lived here over a year and I guarantee they will agree. So that is why today I am thankful for friendships. Friendships I had in the past and the current ones I have here on the mission field. Remember to thank God for putting the right friends with you in the right place and right time.